Mix and match these gender neutral favourites for the perfect weekend look. Featuring some of our favourite vendors from One Fine Baby Melbourne and Sydney. Tickets are on sale now for One Fine Baby Melbourne! Register for your FREE ticket here. We look forward to seeing you at this year’s One Fine Baby Family + Lifestyle Fair, presented by HUGGIES®. 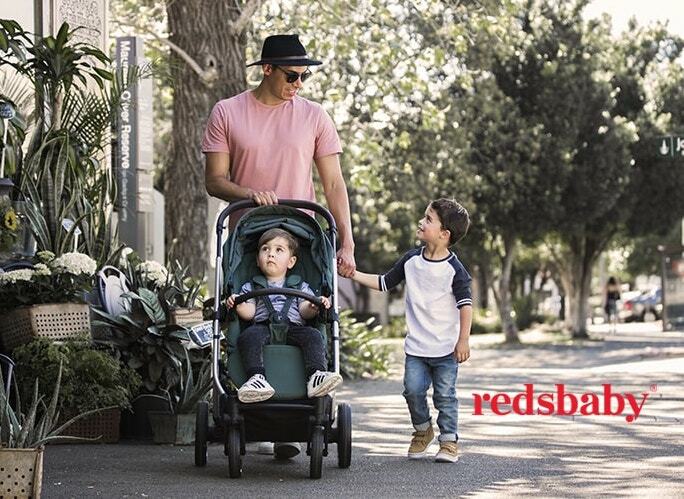 This FREE 2-DAY EVENT housed in the Royal Exhibition Building provides the perfect atmosphere for One Fine Baby bringing together 100+ must-have brands & services. Choose from fashion, designer baby goods, interiors, stationery, photographers, health, arts & crafts and much more. The fair creates the perfect shopping experience under one roof. Yes, our stall holders love to offer show specials, competitions and giveaways. Perfect for prams and children to enjoy for the whole day. The feeding area will be a place to relax and feed your little ones along with the Thankyou™ Nappy Change area close by. For the kids we have a petting zoo, jumping castle, live kids entertainment, kid friendly café, great coffee, making this a family-fun weekend not to be missed. Expecting? Discover beautiful products and services to help prepare for your new arrival! This year we have introduced The Education Hub to help you in your parenting journey from fitness to sleep and nutrition, the full timetable will be released in late July.